The hacking jacketA sports jacket initially designed for riding. 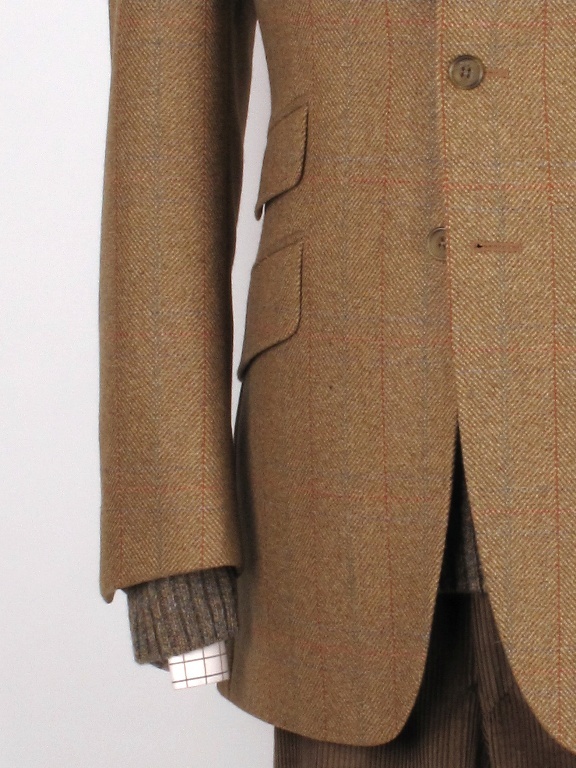 Usually a longer length tweed jacket with flapped slanted pockets, ticket pocket and center vent. has been Bladens signature design since 1917. 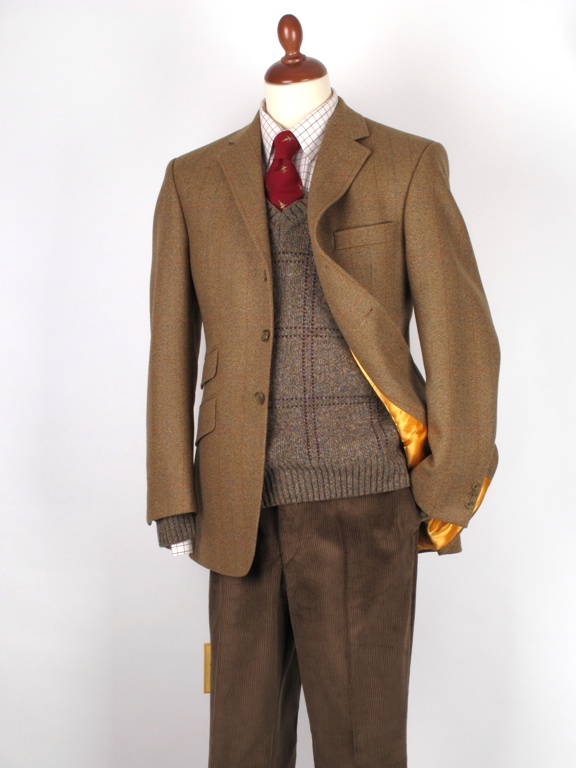 This tweed is of light brown colour with hints of olive and has a subtle orange, blue and green check. Perfect for office as well as equestrian use, just add a lambswool jumper if you need more insulation. 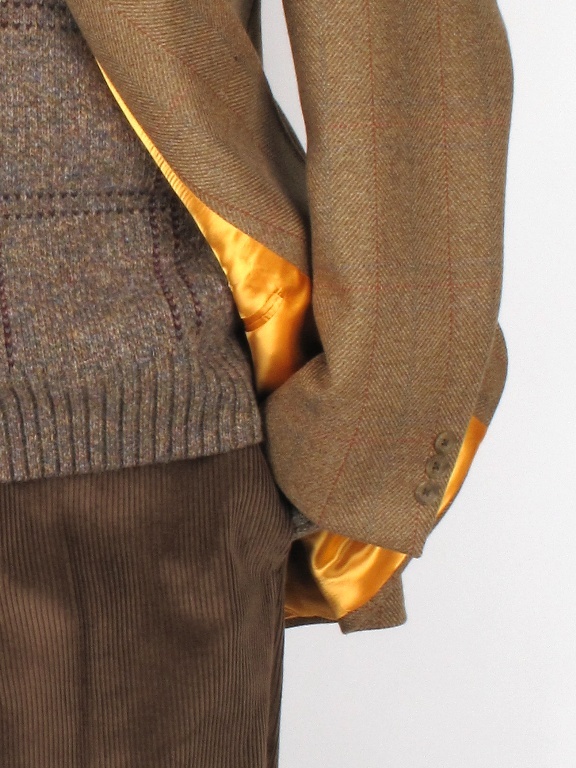 A Bladen jacket takes up to six weeks to create in a highly skilled process involving over 120 separate operetions, many of them by hand.